An erratically published missive on lady-saints that also circles around magic, femininity, perfume, radical tenderness, the stars, and cloth-bound books. 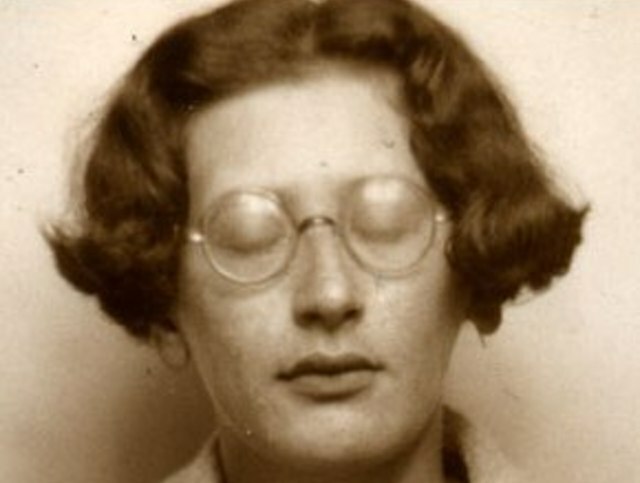 I started divinity school three months ago, and spent a lot of those three months falling in love with Simone Weil. Part of the reason I wanted to go to divinity school in the first place was to reconcile with all my complicated feelings about growing up evangelical, to make peace with God. For the last few years, I’ve felt myself standing on the edge of belief, wanting very badly to walk through the door, but not really knowing how to do this. I described this to a friend as not knowing who the version of me that believes in God is. This is the first year I’ve conceptualized Advent as something other than carefully rationed chocolate, and somehow also the first year that I’ve thought about Mary as a person that was pregnant. I’ve always felt that we don’t get very much of her inner life in the Bible—there’s the annunciation, and the Magnificat, and then Mary meditates on these signs in her heart, and then snapshots of her as Jesus grows up. But I’ve also never really thought of her as someone with a body: This was the first year that I realized that Mary was someone who literally gave birth. Being at divinity school has made my ambitions easy to articulate: I've always known that I was called to be a writer, I'm having trouble discerning what that looks like professionally. Discernment is a big word around here. Folks are in the middle of discerning a call to ministry, discernment is an uphill battle. I like the idea, like there's some plan laid out for your #1 Most Optimal Life and it's your job to find the edges of it, and once you do, everything will Make Sense, your cosmic life plan will all come together, and you'll understand your position in the universe. This April, just before Terry Tempest Williams' fantastic Ingersoll Lecture, one of my classmates, Jiaying Ding, sang Hildegard von Bingen's "O Viridissima Virga," a hymn to the greening forces of God, a paean to the tiny miracle of a blooming branch. At the age of 12, sometime around the year 1112, Hildegard von Bingen was placed under the protection of an older nun in a local enclosure attached to a monastery. Her world drew down to the size of the building, but her responsibility to the world outside of that enclosure only grew. I have spent a long time thinking about grace. I wrote a whole chapbook about it, it is something I aspire to, and as something I want to make note of when it appears in the world. It's one of the words that makes my ears perk up when I hear it. For these reasons, Julien Baker is one of my favorite artists, a modern-day saint in my canon, if you will. I went out to the desert for the first time last month. High desert in Utah, already marked as a holy land, canyons and rock formations and arroyos, the silence of a red-rimmed valley, Mars rising over the mesa, the smell of ozone at dawn, sagebrush and nopal and juniper. It's a place that fills your eyes, where you're at once hemmed in and bare under the sky. In Mexico, there's this tradition of "La Posada." Every night for the nine nights before Christmas, a couple, dressed up like Mary and Joseph, knock on the door of a house and ask for shelter. They're usually surrounded by half the town or the family or whatever, all holding candles, but for the purposes of dramatic tension, it's supposed to be just Mary and Joseph. I just got back from Tijuana a little less than a week ago. I thought I'd be going there to help people prepare for their Credible Fear Interviews, which determine whether someone will be allowed to apply for asylum or immediately deported, or help people on the other side do actual asylum applications. Being home after Tijuana has been strange. I'm going to classes, making dinner, walking the dog, reading books, all of the usual things that make up my life. This is interrupted, sporadically, by remembering something suddenly. I cried in a coffee shop the other morning, holding hands with a friend, because I had remembered that we had watched some of the last people in the LGBTQ caravan cross, folks that had made family on the road and now were there at the wall. Last semester, I took a class on women & mysticism. We read widely: from Hildegard of Bingen to the Vineyard church I was raised in. For a week, we had to give group presentations on late-medieval European women. I was assigned Angela of Foligno, and I still can't get her out of my head, which is, to my understanding, how people become medievalists. 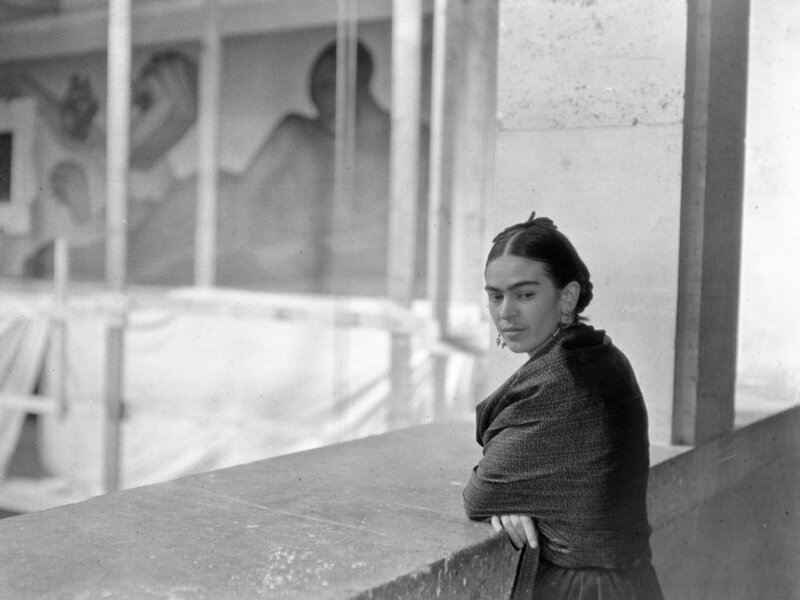 Last week, I spent a couple of hours wandering around the MFA Boston's Graciela Iturbide and Frida Kahlo exhibits. Graciela Iturbide is a Mexican photographer who describes her work as things "in therapy"—plants with IV bags at the Botanical Gardens of Oaxaca, communities coming together around a seasonal goat slaughter, a family burying a child.